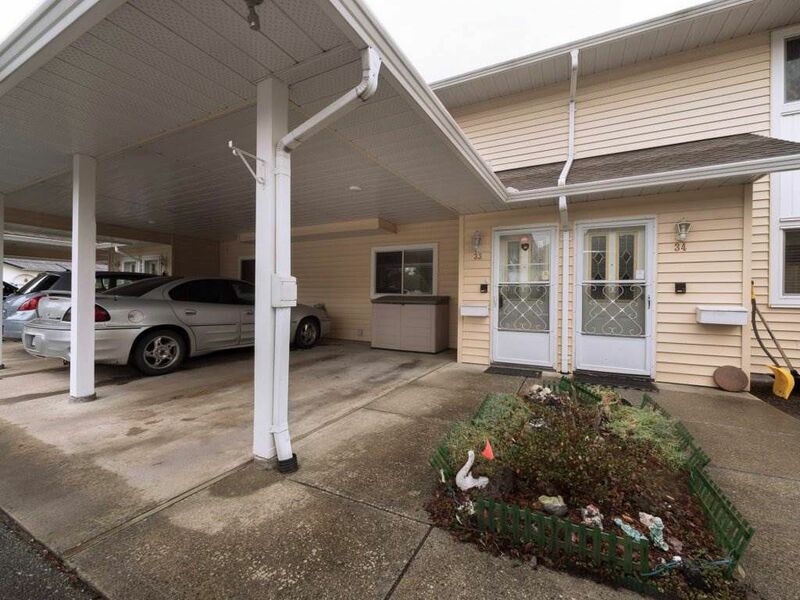 Level-entry townhome in an adult-only 55+ complex with easy access and a southern-facing enclosed sunroom that opens to well-kempt gardens fringed by trees full of songbirds. The home features 2 large bedrooms, a spacious laundry room & a bathroom with a fabulous walk-in, sit-down Jacuzzi tub that has a plentiful supply of hot water from the large tank. Tastefully decorated in neutral colours, the home is clean and has easy-care laminate floors and updated vinyl windows in the main areas. The unit comes with one covered parking space and ample visitor parking is to be found in close vicinity. Centrally located to parks, public transit, medical service and corner store. Self-managed complex with low maintenance fee of $221.40/mo. Restrictions include: no rentals, no smoking, and 1 pet.